Since their generation entered the workforce, millennials have gained a questionable reputation. The old guard see them as self-centered, entitled young people who don’t stick to their commitments or know the value of work. But is that really the case? Could it be that millennials are just really driven to pursue their passions and make a difference in society? What many don’t understand is that not only does it take a lot of guts to veer away from the traditional way to do things—it also takes hard work and dedication to really go after your dreams. Whether they mean to or not, millennials are breaking the narrative. A lot of the time, this generation is judged to be indecisive and perpetually scrambling around trying to figure out what they really want to do with their lives. But while it’s easy to cast that trait in a bad light, it’s really all just part of the process of finding one’s true niche and passion. Take for example Wiji Lacsamana. She’s a Political Science graduate who became a teacher, which seems like a logical progression of things. For all that her initial course seemed straight though, Wiji ended up pretty far from when she started. 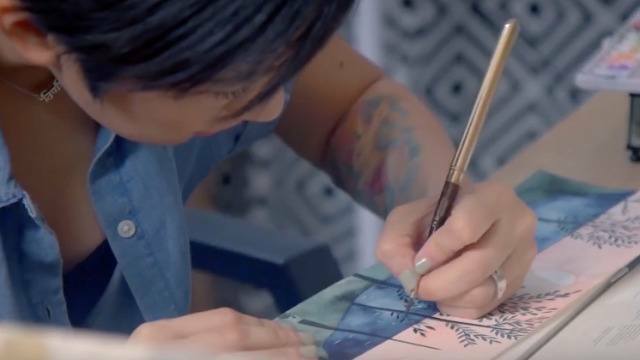 Nowadays she works as a tattoo artist, creates and sells her own perfume, runs an online store with her husband, does branding for businesses, and is a full-time mom. So how does one take up Political Science and end up in a completely different industry that’s all about creativity? So where did she go after leaving the classroom behind? And she loved what she ended up doing, indeed. Wiji fell in love with the craft of tattooing after trying her hand at it at a friend’s birthday party, and went on to seriously pursue it. Apart from body art, her talent for design also eventually extended to freelance branding and illustration. Her interest in scents, on the other hand, led her to creating her own natural perfumes. She found success in the fields she’d chosen, and it was thanks, perhaps largely so, to her millennial spirit, which refused to stay still and conform to what was expected of her. Of course, it wasn't just attitude and hard work that got her to where she is now. Millennials are privileged in the sense that there’s a lot of new technology at hand that can serve as an aid for them to pursue their passions more effectively. For Wiji, the Internet served as a platform for her businesses. “It really helps me...take these passions further,” Wiji said. 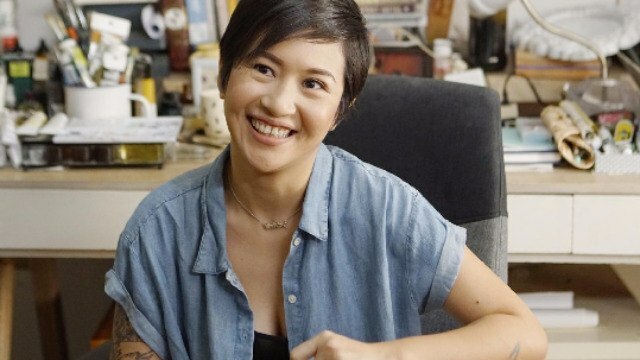 And she didn’t just mean technical aid in the business process, but also easy exposure and advertisement too.“Technology helps me with my tattooing because I post photos on Instagram then people see it,” she explained. Another practical way Wiji manages her business ventures and adulting is through PayMaya, a free and secure app to pay online. PayMaya offers a handy Send Money feature which efficiently allows anyone to pay and get paid; this makes running a small business or e-commerce much easier. Customers can also pay store owners via PayMaya, eliminating the need for face-to-face transactions and having to physically carry cash (which is both risky and a hassle). For freelancers like Wiji, it is also the best way to withdraw payments from clients overseas as PayMaya can connect to global payment systems. Since PayMaya is powered by Visa and Mastercard, it is accepted anywhere card payments are accepted—even online. "I use PayMaya to run Facebook Ads to promote my business online without the need for a credit card. I'm glad PayMaya is accepted by Facebook, Google and other digital platforms," shared Wiji. Apart from that, it allows users to pay bills in an instant and buy discounted prepaid load and data in-app, giving users and adulting millennials an opportunity to save that extra bit of income. 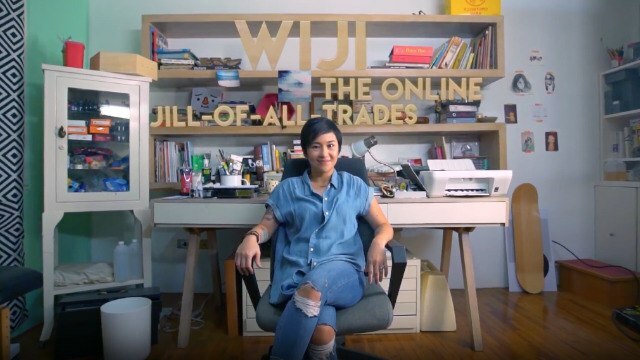 Wiji’s smart use of PayMaya and her enterprising spirit have led to her being named one of PayMaya’s brand ambassadors. For more information, visit www.paymaya.com. Join the conversation online by tagging PayMaya on Facebook, Twitter, and Instagram at @PayMayaOfficial. Get support at @PayMayaCares on Facebook. This article was created by Summit StoryLabs in partnership with PayMaya.